Landscape architecture is a diverse profession that encompasses the analysis, planning, design, management, and stewardship of the natural and built environment. 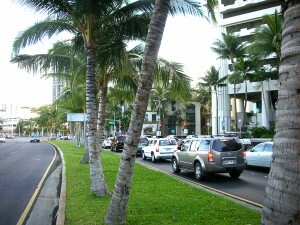 At Hawaii DOT, landscape architects strive to provide design solutions that enhance the quality of life, emphasize safety, preserve & protect environmental resources, sustainable & durable, aesthetic & scenic qualities, economic development, roadside vegetation management and integration of community values & regional context to ensure transportation facilities fit within the land and our communities. 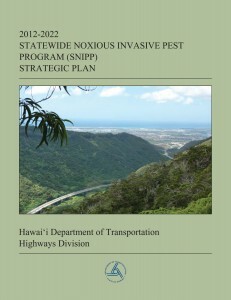 The HDOT Statewide Noxious Invasive Pest Program establishes a ten year strategic plan to mitigate the introduction, spread and impact of invasive species within the state highways right-of-way. 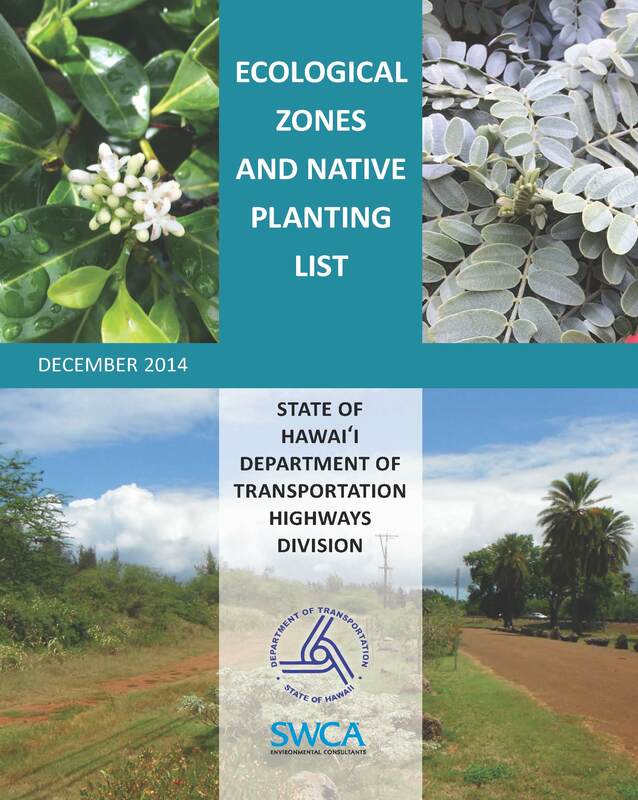 The purpose of the Ecological Zones and Native Planting List is to guide HDOT landscape architects, engineers, and contractors in selecting appropriate native Hawaiian plant species for Highway right-of-way projects. 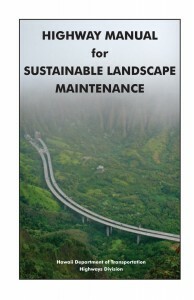 The State Highway Manual for Sustainable Landscape Maintenance establishes statewide standards and provides step-by-step directions for roadside maintenance staff and contractors. Contractors may purchase the State Highway Manual for Sustainable Landscape Maintenance from Ms. Emily Hsu of our Staff Services Office at (808) 587-4069. The cost is $41.00 per book if you request that it be mailed to you within Hawaii, $47.00 per book if mailed to the mainland, or $35.00 per book if picked up at 869 Punchbowl Street, Honolulu, Hawaii. 869 Punchbowl Street, Honolulu, Hawaii 96813-5097.